Cebas: hello BobbysBrane, I recall you were the first artist interviewed in the fall of 2014. In a way, we started out with a fun, crazy note with the Mummies 'Innuendo' music video you created - now, that was a ‘brane / brain fart’, am I right? Bobby Standridge: Oh, you’re referring to the website, which is basically just one giant pun. Each page is a variation on the “Brane” theme. It’s got BraneFarts, BraneChilds, BraneStorms, ect. Animations are placed under the BraneMation link, obviously. Cebas: you told cebas you liked songs from the Mummies and one of your favorites, a really cool one: ‘Freak Flag – Here comes the Mummies' (also NPR rendered with finalToon, you know, in terms of making those lovely line styles, so we can distinguish the mummies from the checkered floors, for example,) Bobby, can you say a bit about your obssession with Egyptian mummies? Cebas: so, Bobby, now we are in 2019 - have your work BobbysBrane.com changed? How have you changed? Bobby: all the various gigs and music videos have provided loads of practice. So, when not doing something for a client, I’m busy doing little projects for myself. It’s like learning a musical instrument. You just have put the hours in until it becomes automatic. Same thing applies in this field. And not just with animation technique, but all aspects of filmmaking, whether it’s mapping, lighting, pacing, directing, editing, etc. But, especially storytelling. Everything done, whether a gig or music video, boils down to an attempt to tell a story in a new and fresh way. Sometimes you get a few seconds to tell it, sometimes five minutes. Also, the more you do something, the more you end up developing a unique personal style as a side effect, which is how you delineate yourself artistically. Cebas: and fortunately for cebas, you have not outgrown your love of finalToon :D – we weren’t dump for another software. Can we have some bragging rights here? Like wow, finalToon made things happen for your creative work - or no? Bobby: finalToon is fantastic! It’s nice how things can be made to look so organic and handmade with just a few clicks. Cebas: Bobby, how do you categorize if something is a Brane Fart or a Brane Storm? I won’t ask about Brane Animations - since that is obvious ? Bobby: - BobbysBrane.space is organized by where things fall on a timeline. Smaller non-animated projects from the past can be found in BraneChilds. Future projects are teased in BraneStorms. The fun and frivolous stuff making up the bulk of life, in real time, exists right in between in BraneFarts. That finally leaves BraneMations to hold completed animations, both personal and professional. By the way, Branes is spelled correctly. 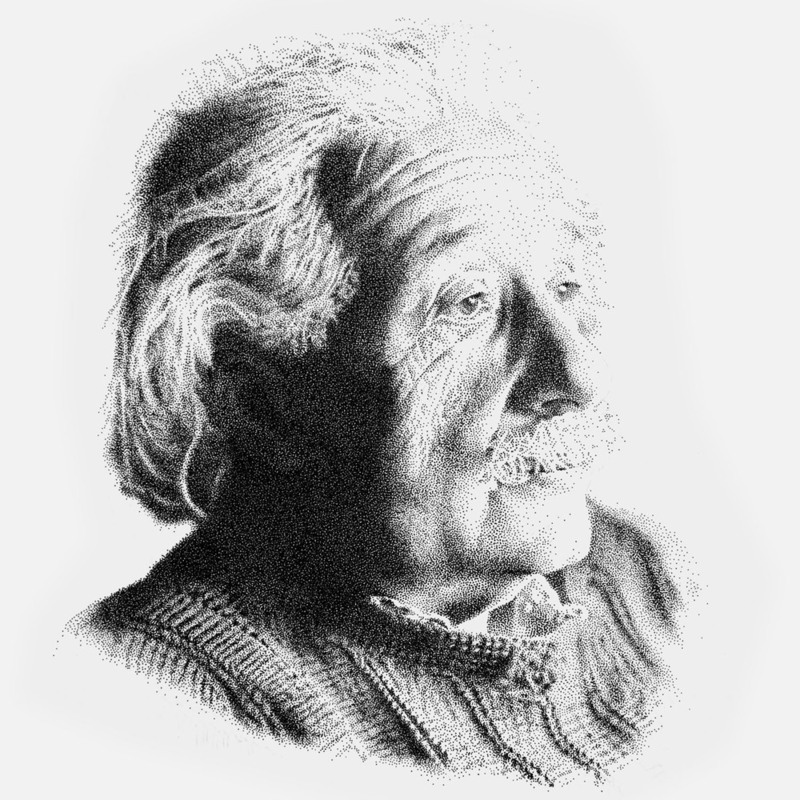 They have something to do with membranes in String Theory, a field of mathematics/physics that attempts to reconcile Relativity with Quantum Mechanics. Don’t ask me anything beyond that. It’s basically an excuse to use cool space imagery all over the website. Cebas: that brings us directly to your latest creative with finalToon, ‘Feel Like Going Home’. Don't you just love Charlie Rich's deep voice? Your adaptation of Charlie's song by the same name? Now, is this one a Fart or a Storm ... or something else, completely? Bobby: that one was a four-year long BraneStorm that moved into the BraneMation category upon completion. Cebas: your music video, 'Feel Like Going Home' has a more serious message to it - what made you create or not want to create this music video - yes, tell us about your creative tensions! That came when this idea popped into your head. Bobby: years ago, maybe over a decade ago, I first had an idea about doing a live action video for this amazing song. The original idea utilized a lot of similar plot points: a parolee, a bus ride, a visit to a florist, a gravesite, but the themes were TOTALLY different. My original thinking was to show an ex-con who couldn't escape his nature. He is released from prison, rides a bus, interacts with a child, acquires a bouquet of flowers, all before visiting his murdered wife's grave to make some sort of amends. Of course, he is reminded of old grievances and starts arguing with his memory of her, destroying the flowers in the process before realizing what's happened. That was the original germ of an idea. Somewhere along the way, my thinking changed, resulting in a complete reset, keeping a lot of the original plot, but now with an entirely different emphasis. Animation began right after completing my last Mummy video for the song Innuendo, four years ago. Cebas: when did the pop (creative thought process) happened in your brain(s)? How long before it came into fruition? And why has it taken so long to finish? Bobby: It was a project that ended up on the back burner repeatedly. Something was always interrupting it, and momentum would be lost. Plus, there wasn’t a satisfactory ending mapped out yet, which led to apathy. It was all figured out, right up to the point where the flowers are laid on the unmarked grave. But I was stuck for the rest. Recently, out of frustration, I determined that it was going to get it finished, one way or another. Lying in bed, nightly I replayed the song in my head, free-associating every permutation possible, to no avail. The logjam was broken upon re-reading MLK Jr’s incredible “I Have A Dream” speech. It was revelatory. The BraneFreeze thawed out, which kick-started the final push. Cebas: the cebas vfx community and followers would love to know more about you, as a person and as a Senior V/FX Artist - do fill everyone with some interesting anecdotes about this project? Bobby: Okay. Here’s how I got here: I didn’t discover computer animation until my mid 30’s. Following college, I took my business degree and proceeded to not use it. Never caring much about chasing the all-mighty dollar, I tried out a bunch of random jobs, never really finding a niche, until landing a bartending gig, which lasted for years. The flexibility of that gig freed up time to pursue creative interests, such as becoming a drummer in a punk band! At some point a customer offered a bootleg copy of 3d Studio Max R3, which changed everything. After playing around with the software for a couple years, the time arrived to put my newfound skills to good use. That’s how the first Rush video for the song YYZ came about. It was unofficial, but it became a fan favorite. A mountain animation for an independent movie led to a similar animation request from ESPN, which was my first gig for them, almost 12 years ago. How did I get my foot in the door with ESPN? The old-fashioned way: it’s not what you know, it’s who you know. An old high school drinking buddy has spent his entire career there, beginning as a grunt, then rising up thru the ranks, eventually becoming a big wig. He now runs the features unit. He threw a bone, and I ran with it. A few years back I decided to carve out a niche as the go-to character-animating guy. The funnier material, the better, I told them. The better part of 2017 was spent animating 10 second bits for the Mike & Mike show. There was very little money in the budget, but who cares? It was a high-profile golden opportunity to practice character animation and hone some comedic chops. And plus, it was a hoot! Never underestimate the power of what I call “pleasant persistence.” It’s the willingness to push for what you want to accomplish with a potential client, without being pushy. And it’s how I got to do an official Rush video. The seed was carefully planted with their management that I was interested in doing a video for Malignant Narcissism off their new album at the time. I would check in every month or so explaining my excitement and eagerness, not pushing too hard, always ready to accept total rejection, if it came to that. Eventually, management relented and offered a nominal amount of money for a video. I was in! Once again, this was a low-paying, high-profile gig. But I was in! I made a video that ended up on an official Rush release. And Neil Peart, one of my drumming heroes, liked it enough to highlight it on his web page. I thought I’d died and gone to Heaven! Cebas: Bobby, you are still a Max guy, right? Do you use Maya at all? Bobby: I do not. It’s taken too long as it is to feel comfortable with Max. Plus, way too much money has been spent on plugins to change now. Cebas: were all the scenes and characters in the Feel Like Going Home illustrated by you, using digital tablet and Adobe Illustrator (or was it another software)? Bobby: to develop characters quickly, I use a freebie program called DAZ 3D. DAZ 3D offers an extensive online marketplace with affordable 3D content of all kinds, which I constantly peruse, acquiring over 7,000 DAZ items over the years. It’s parametric way of doing things makes it easy to mock up characters and export them out into 3ds Max, morph targets and all. A huge time saver! Cebas: coming back to the creative techniques. On this project, which areas did you find finalToon enhanced the entire presentation? Bobby: The goal was to create a rough, hand-drawn effect, and finalToon was key in pulling it off. Cebas: and what feature in finalToon was used for this / these ? Bobby: the Thickness Cue Depth setting is a favorite. It lets you automatically change line weights based on distance from view. For this project, a Noise Map was used in the Global Bump and Thickness Edge Maps fields to subtly vary the line thickness and shape. I got a nice organic effect by animating at 12 frames per second, with the Noise Map setting changing in a stepwise fashion every three frames, so you end up with 4 beats per second of change. Most of the line styles were handled by the Global settings. I used Local settings override for thinner lines around characters’ eyes, for instance. Cebas: did finalToon import easily to help in the illustration? (answer this only if you had a mix of software, no need to answer if it was all done in 3dsmax) What import/ export tool did you use? Bobby: the frames rendered out from Max were sent over to Photoshop where a Rough Pastel treatment was added to give it even more of a hand drawn feel. The results from that were sent to After Effects where a slightly animated distortion field was applied to further sell it, and finally it was composited with Overlay transfer mode over a gray canvas background. That’s the basics for the overall effect. Cebas: and Bobby, on a slightly more serious note, 'Feel Like Going Home' is about Segregation and the Civil Rights movement, closely tied in with American history - could you tell us if you had an experience perhaps in your youth years of your life that made you want to create this music video, and what was that experience about? Bobby: I just read a lot. History is always an interesting topic of study. Also growing up in the D.C. area, where history abounds all around, is helpful. The contradictions, hypocrisy, and disconnect between our American ideals and how things have played out for African Americans is glaringly obvious. My parents were originally from Arkansas, one of the original Confederate states, and so I’ve heard the stories first-hand from them about their peculiar brand of apartheid in the Jim Crow South. By the way, Charlie Rich is from Arkansas! Cebas: Thanks Bobby. I see that you are mostly doing a lot of ESPN videos nowadays - on the https://www.youtube.com/user/BobbysBrane/videos ? Any comments about whether finalToon helped in the series? Bobby: Yes, finalToon was used on a few ESPN gigs already. It all depends on what the producer is looking for. Cebas: in your view, what is your wish for finalToon to achieve that is not currently doing for you? Bobby: no one tool does it all, but finalToon fits perfectly into my NPR pipeline, as is. Cebas: and what projects can we expect from you in the future (if you're able to tell us)? Bobby: I’ve got a couple music video idea kernels to explore more fully, possibly another silly Mummy video. There’s a whole superhero gag I have in mind for their song Attack of the Weiner Man. It wrote itself. And I really want to do a music video for the old Marty Robbins song, El Paso. The lyrics are very literal, descriptively, so maybe I should take an abstract, painterly, impressionistic, Georgia O’Keeffe-inspired stab at it. I recently bought a program that uses AI technology to help paint pictures/videos. Seems like a good excuse to test it out! Cebas: so what are your professional and what are your personal hopes and dreams in moving into the future in the art of visual effects and balancing life/work? Bobby: Professionally, I hope to keep doing the freelance thing with ESPN for as long as they’re willing. The projects are typically short in scope, but with crazy deadlines. It’s not unusual to cram 100 hours of work for a one-week deadline, with an all-nighter or two thrown in towards the end. It’s rare, but I have turned down projects with “life-threatening” deadlines. I kid (mostly.) I hated to do it, but producers were always understanding. The goal is to always be the one ball in the producer’s juggling act that never hits the ground. So, if the gig is just impossible, I say so. I cherish my reputation for dependability. That’s what gets your name dropped when a new producer is asking around for an animator. Fortunately, it’s a feast and famine situation. I make good money for brief and intense periods, followed by a decent break where I can concentrate on my own stuff. 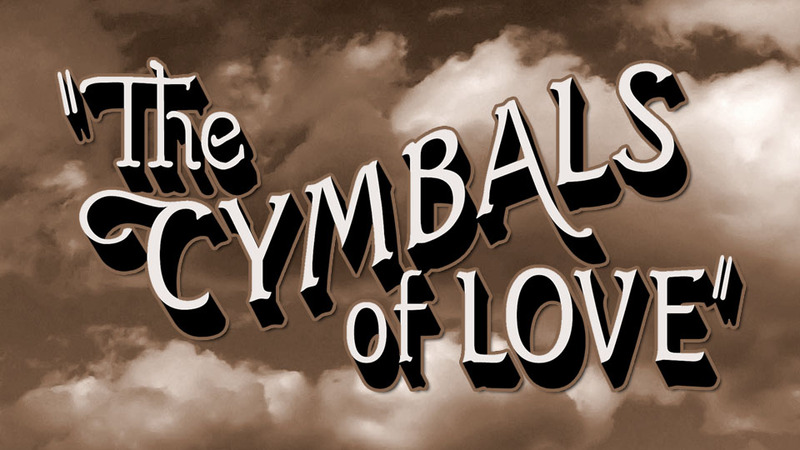 The ultimate personal creative goal is to make “The Cymbals of Love”, which will be the end-all animated opus. Details for which can be found in BraneStorms! Cebas: Thank You So Much, Bobby's Brane - it is always so much fun to talk to you. And thank you for the perspective you have given as a professional artist in love with your creations and how to navigate the creative world, and telling how finalToon is key to rendering an outstanding animated effects. If you would like to learn how to hatch those line styles and shadings, see the finalToon tutorials on youtube.com/cebasVT and those from Northytoons. For those who had not seen the first interview: Insights with Bobby 2014/ - beware of the catchy tune.